Well the good news just keeps coming from SEGA Fes 2018, over the weekend we saw announcements about a new SEGA AGES pack being released on Switch, a new Mega Drive Mini console and, of course, Shenmue 1 & 2 (finally!) coming to Xbox One, PS4 and PC. 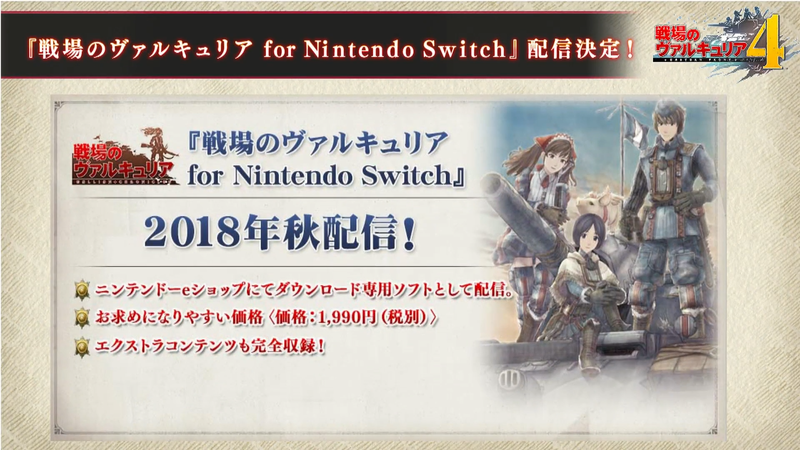 On day two of the event, SEGA announced that the original Valkyria Chronicles will making its way to the Switch this Fall in Japan. 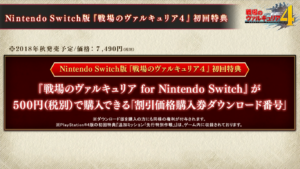 The game will launch via the Japanese Nintendo eShop for 1,990Yen. There’s no word yet of a Western release, but hopefully after the relative success of the PC version in the West, there could be hope for us. On a bit of a downer, SEGA also confirmed that the Switch version of Valkyria Chronicles 4 will also be delayed from a Summer 2018 launch to a Fall launch. 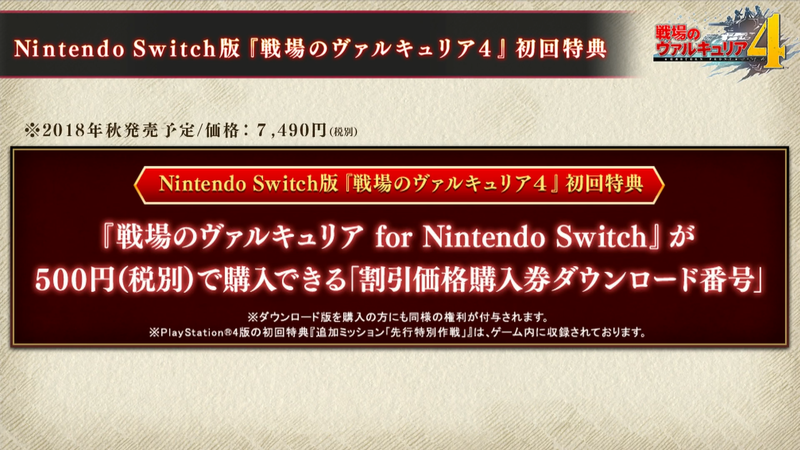 But that’s not too bad of a delay and, to make things a little sweeter, SEGA is giving a anyone who purchases Valkyria Chronicles 4 on Switch a discount code to buy the original Valkryia Chronicles for just 500Yen (tax excluded).